A lot of people haven’t. 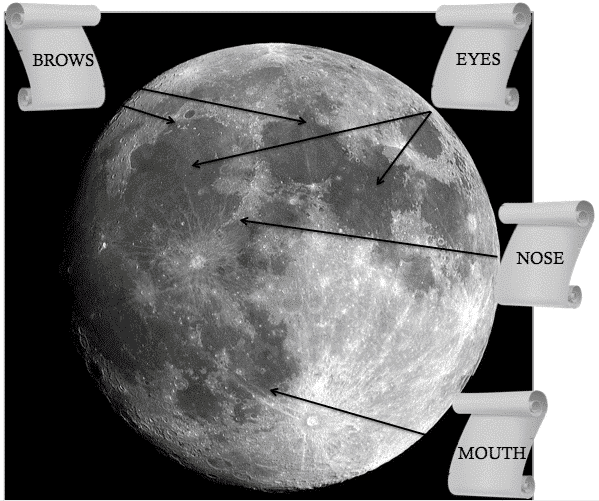 Find out how to identify the face, learn insight on setting intentions, and how to complete your goals with the moon’s phases. You’ll never be able to look at the moon the same. Not a lot of people have seen the face of the moon. The craters of the moon form an abstract face. 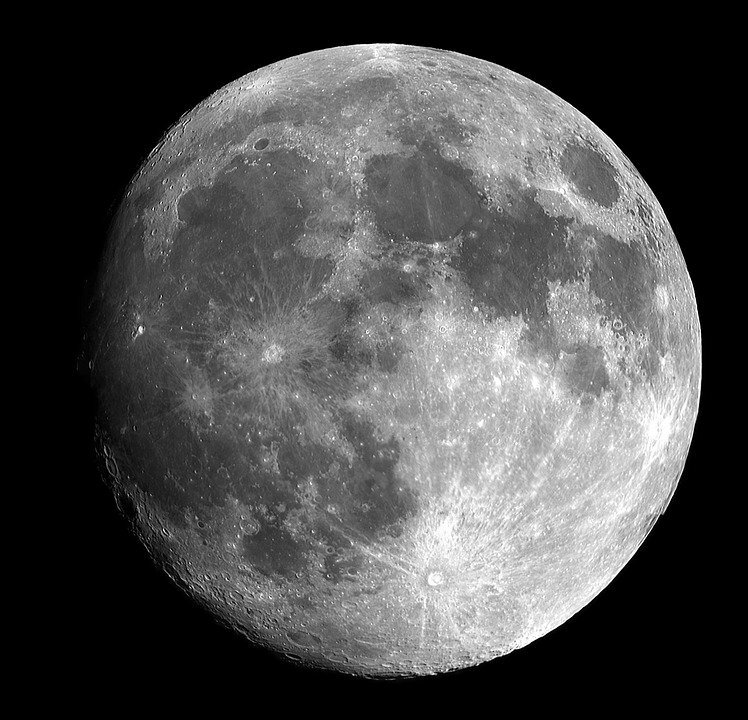 Did you know we only see one side of the moon every time? Because we see the same side of the moon is why the face always forms and looks down upon us every month. Strolling along on my 7am walk on the Mexico Beach dock in Florida I encountered a retired man with his bright pink shirt was waiting on a fish to nibble on his line. He was looking towards the moon and I asked him what he was thinking. This is when I learned that when the moon is a full moon or new moon, the gravitational pull of the moon and sun are combined. Therefore, a fisherman or other experts use this knowledge of gravitational pull towards predicting the water tides of the ocean. Neat Right? The moon exerts a pull on the Earth on other days too, but it is not nearly as powerful as on the days of a full moon and new moon. CAN YOU SEE ANY CLUES OF A FACIAL STRUCTURE? Do not be afraid, instead, let the moon be your ally. When you see the face in the sky let it be your reminder, your protector, your smile. Every month Champïone’s work alongside the moon’s phases and create goals, intentions, visions, whatever you want to call them, that are aimed to be fulfilled and manifested by the following month’s full moon. Be reasonable! They can be as short or as long as you want them to be. I try to make them easier to remember. It works best this way. Those are some examples of my intentions. Begin writing yours in a journal. You can write whatever your heart desires. No one can judge you, but yourself. Speak from the heart. Throughout the month, continue rereading, marinating, and applying the list of intentions to further energize and heighten your list. Staggering opportunities exist for us in every aspect of our lives, but we must apply patience, attach positive emotion, persistence, and belief that the Universe has our back and you too shall see every month more and more of your goals are checked off your list. Remember, do not lose hope during this process because this is the one and only reason you will not see results. This knowledge comes from my experience first hand. Each of the phases can be a stepping stone of your progress. Interestingly enough, the time it takes the Moon to go through all its phases is about a month, this is where the word comes from month=moon. The phases were so important to our ancestors that they created the period of time we call a month. This creative moon art piece was completed in 2 weeks time, although I have practiced the moon’s face for years now. Redrawing the face every month we have a full moon. Was gifted to someone special who shares their generosity and selflessness daily. They had mentioned they have never seen the face of the moon so I thought maybe I can enlighten them. Additionally, this piece glows in the night. Incorporating phases of growth and reminder of natural phenomenons. Take any old dictionary with words you’d like to learn or add into your vocabulary. Gather acrylic paints in colors of metallic silver, white, gold, and black and use a sponge brush. Incorporate the craters with a dark shadow such as black or gray, highlight with a metallic white or gray for the outlining of the shadows. Share with someone who has not seen the face of the moon. It could be enlightening and change their view of the moon until the end of their lifetime. Our ancestors used the moon to their advantage, so should we! Now every month when you look up into the sky, regardless of the country you are in, we all have one thing in common. We will see the moon, beautiful as it is, looking down at us from above. Making us feel connected. Now that I have filled you in on this wisdom I am sure you’ll never be able to look at the moon again. Appreciating the little things in life, the moon shines upon us and gives us everything we need.